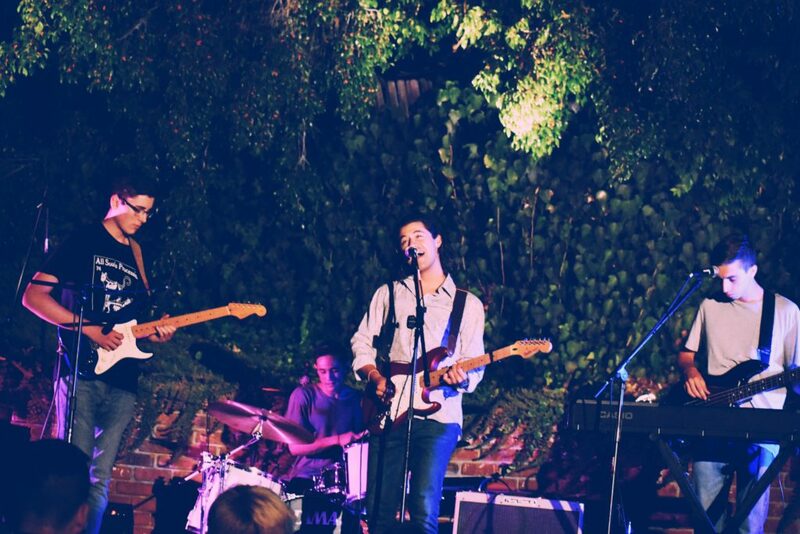 Get a firsthand look into the Orange County based band The Millennial Club with this exclusive interview. Find out who inspires them, what makes them different, and where they hope to see themselves in a year. 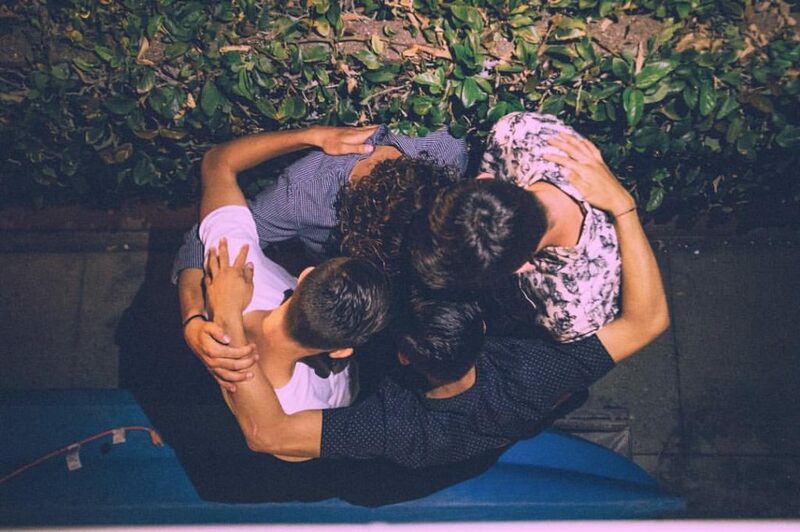 Their chill, synthpop-esque style of music is spreading quickly throughout Orange County and Los Angeles from the support of friends, social media, and the local communities. The Millennial Club is already getting noticed by Industry professionals and popular bands like the one who described their sound as synthpop, Columbia Records Artist, St. Lucia. This band of four consists of lead vocalist and lyricist ANDRES, lead bassist and keyboardist JARED, Saxophonist and Lead Guitarist JAKE and Drummer TYLER. The band met in Jr. High. Already noticing each others passion for music they all joined their High School Jazz band. It wasn’t until after high school, 2015, when TMC was created. Up until that point, Andres was already writing music and having Jared produce a lot of the tracks. A year later, Jake and Tyler were brought in to complete The Millennial Sound. And oh what an awesome sound they have. After seeing one of their shows, their music had me hooked, and I’m proud to say I’m a fan. Just hit the play button below as you read along. 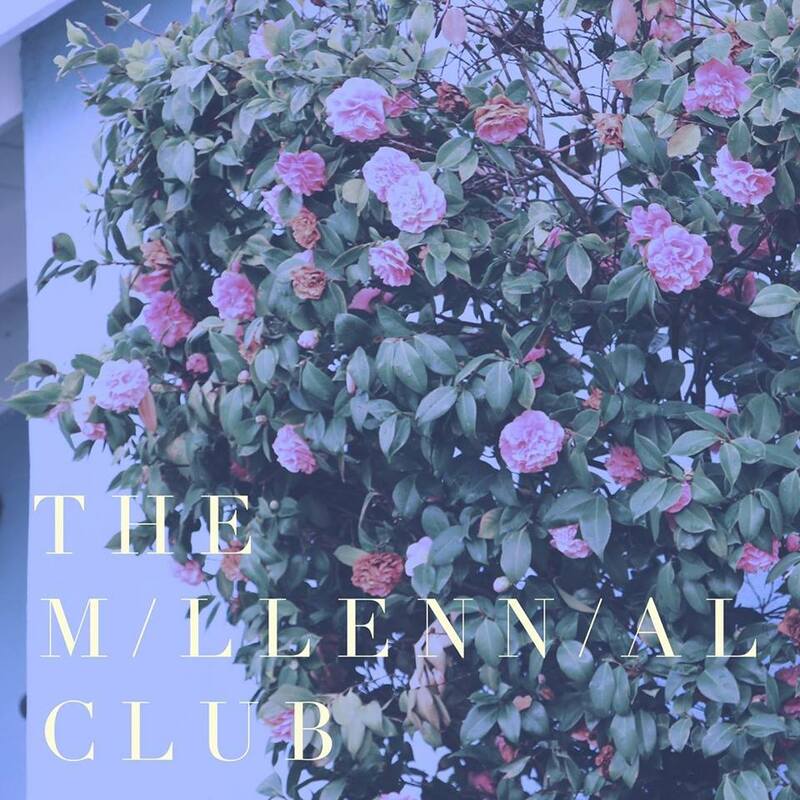 How did you come up with the name The Millennial Club? We started throwing ideas out there, asking questions like; “What fits us”, “Is it memorable?” We started listening back to our songs and the messages behind them and that’s when MILLENNIALS came into the picture. We are part of that millennial club and that’s when we landed on The Millennial Club. Love, relationships, heartbreak, building and breaking trust. Universal topics that everyone has gone through or are in the middle of going through. We write about what we know, what we’re feeling or going through, or what our friends and generation are dealing with. Some might take it as superficial or temporary but it’s real to us. Our songs are snapshots of stages of our life. I guess you can say synthpop. 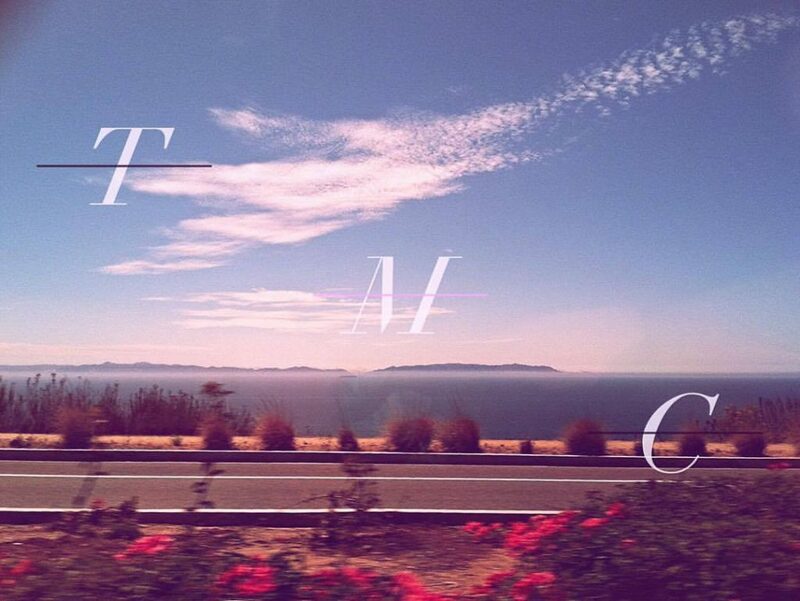 Our songs have a lot of sax riffs, 80’s instrumental sounds, and a California chill vibe. We’ve taken all the music styles we love and created our kind of sound. There are a lot of people and bands that inspire us but if we had to name a few they’d be; Mutemath for a lot of the instrumentation (melodically) , Coldplay, The 1975, U2, 80’s music. Dream venues you’d like to play at? The Greek Theatre and Coachella. If you could join another band who would it be? We wouldn’t want to be in another band. I couldn’t leave these guys just like that. We want to get to a point, where other people are saying they want to build something like we did, the way we talk about our favorite musicians and bands. Maybe as a side project, Explosions in the Sky for Andres and U2 for Tyler. If you could open up for any person or band, dead or alive who would it be? Michael Jackson or The 1975. Pacsun, Buffalo Exchange, Thrift Shops, H&M. We love plain white t’s. We’re all musically on the same page. Similar creative visions, same love for music styles, we respect one another and appreciate each others musicianship. So when we write we already have a good sense of what another band mate might want to do with the song, present or not. It makes the creative process run more smoothly. And of course of our amazing saxophonist. To be able to relate to it, have an emotional connection. We want them to listen to our music and feel like it was written just for them. If we can have that affect on one person or a thousand, we’d be happy. Happiness isn’t about fame or fortune to us, it’s listening to our music and saying this is our track, we made this. Fans singing our songs, people buying our music, that’s happiness. Where do you hope to see yourselves in one year? Not working a 9-5 job anymore and being self sufficient just from the band. Playing shows, making records, touring, you know having enough money to keep that cycle going. What more could you ask for? Their love for music and sharing their stories is what drives them to continue on this path. Is it an easy road? No. But the Millennial Club shows us that no matter what obstacles come their way, they are ready, eager and passionate to share their music with the world. Perfect “staple” of talented musicians trying to live that dream. But what I found unique about TMC is their persistence and grit to really make this happen. At all costs. Not everyone finds their true calling in life. Maybe you do but society tells you it’ll never happen so just give up on that dream. But what if you do find it, like The Millennial Club and form a different mind set. To really go for it. Like spending the whole night finishing a song, skipping class the next morning, having friends take notes just to finish that song. To cancel work the last minute to a play a show you might only have 5 people at. These guys don’t care about playing to the biggest crowds (YET) but if they can reach ONE person with their music, make them feel something, it was all worth it. That’s art, that’s love, that’s The Millennial Club. They have a ton of new music they’re working on. You can listen to their new single, GIVE IT UP on iTunes & Spotify. If you’re reading this & already falling love with their music follow them. If you support local music have them perform at your venue. Leave me a comment, tell me what you think! Thanks so much for reading! Right?? Their sound is so awesome. Spread the word about TMC in Georgia! Have a great day! Saw this band at House of Blues and lpved their music…the 90 r&B vibe with 80s pop band is unique combo….especially loved integration of sax solos! Got a fan!